Great Features and chain driven lift,even a better price. Ben Pearson's Baymaster Series Model BP412 12000 lbs 4 Post lift. Ben Pearson lifts are built to meet the demands of ever expanding automotive repair shops. Ben Pearson is now combining its expertise in manufacturing and engineering to select certain import products that meet specific design criteria and the quality needs of its customers. Ben Pearson's Baymaster Series economy 4 post lift Model BP412 is designed for long lasting dependability with the budget service center in mind. 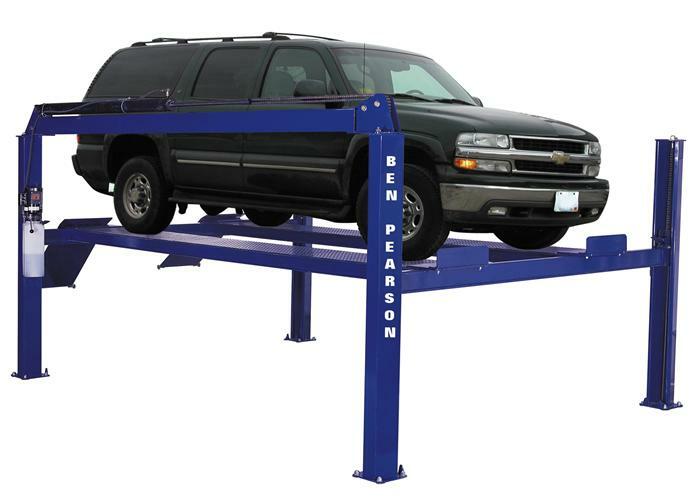 Its loaded with features you would expect to pay more for, like a high tensil strength chain lifting system.